This course explores the types of managerial functions necessary for organizational operation. It is based on the topics of planning, organizing, directing, controlling and decision-making. Specific application to healthcare settings will be explored. This course concentrates on the development of students’ abilities to exercise leadership at the management level in healthcare organizations. The focus is to help leaders understand how best to motivate and coordinate employees and champion change within an organization. Students will explore leadership theory and practice as it applies to the healthcare sector. Topics covered include the history of the U.S. healthcare delivery system, its current status and the role of healthcare providers, such as clinics, hospitals, nursing homes and related healthcare facilities. Additional topics include professional roles in healthcare, healthcare planning, regulation, quality, politics and major healthcare reform issues challenging the industry today. Students will gain an appreciation for the complexities of cost, quality and access in healthcare. This course raises student awareness about current ethical issues in healthcare. Students will be able to enhance their own moral and ethical reasoning by analyzing and responding to case studies in healthcare management, drawn from actual ethical concerns faced by healthcare clinicians, administrators and managers. Students will engage in decision-making activities in order to apply related principles of ethics to current events in healthcare. Why Earn Your Associates Degree with a Healthcare Management Elective Track? Earn your Associate of Arts with a Healthcare Management Elective Track Online - Get the flexibility you need to achieve your education goals. You don’t need to quit your day job to get into the growing field of healthcare management. 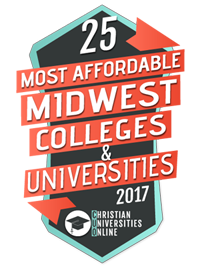 Let Central Christian College of Kansas help you achieve career success with a 100 percent online Associate of Arts degree with an emphasis in Healthcare Management! You learn to exercise leadership at the management level in hospitals, medical clinics, family practices and insurance companies.